I tried buying bottled teriyaki sauce, and didn’t really have any luck finding one that I liked. Luckily once I started looking up recipes, I realized how easy it would be to just make my own. 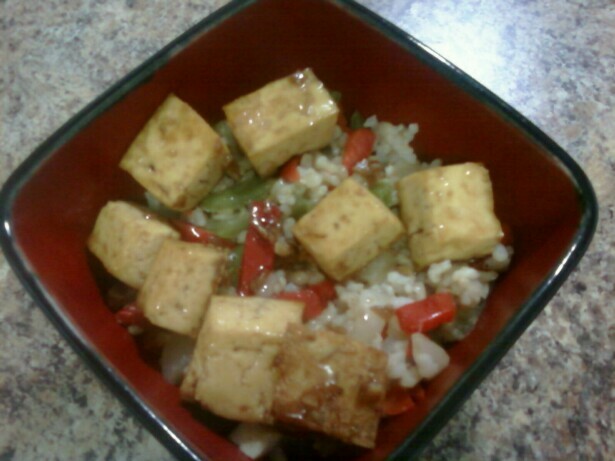 Here’s my recipe for teriyaki tofu. I served it over some brown rice and sauteed frozen veggies. 1. 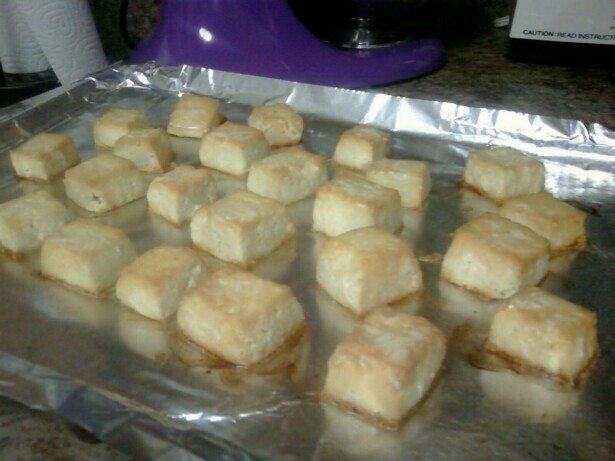 Preheat oven to 450*F. Spray a cookie sheet with canola oil. 2. 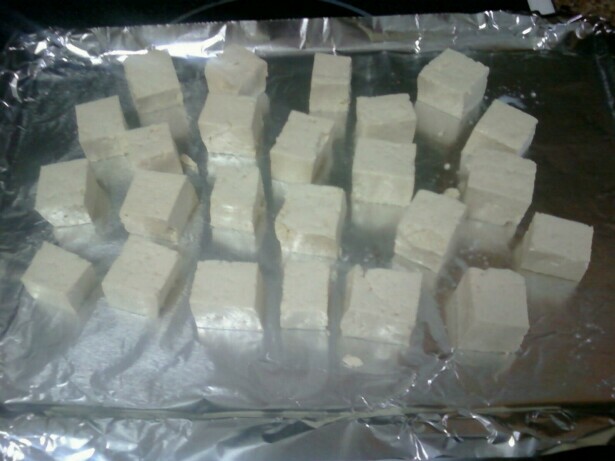 Arrange tofu cubes on cookie sheet and spray lightly with canola oil. Bake for 25-30 minutes. 3. 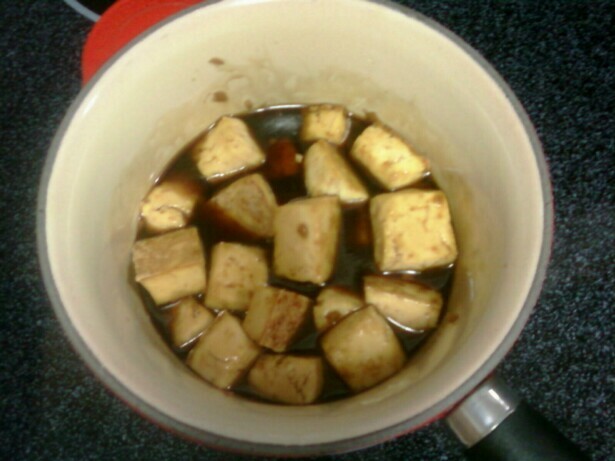 In a small saucepan over medium heat, combine shoyu, water, mirin, sugar, ginger and garlic. Stir until sugar is dissolved. 4. In a ramekin, or small dish, whisk cornstarch with water. Raise heat to medium high on sauce, add cornstarch mixture, and simmer until thickened. Thanks for posting this recipe, it looks great.